A plate of Malay economy rice with various side dishes. A plate of Nasi Melayu during lunch time at the Bayan Baru Market Food Court. Hari Raya Aidilfitri (literally meaning ‘celebration day’) or Eid al-Fitr is an important religious holiday celebrated by Muslims worldwide that marks the end of Ramadan, the Islamic holy month of fasting. 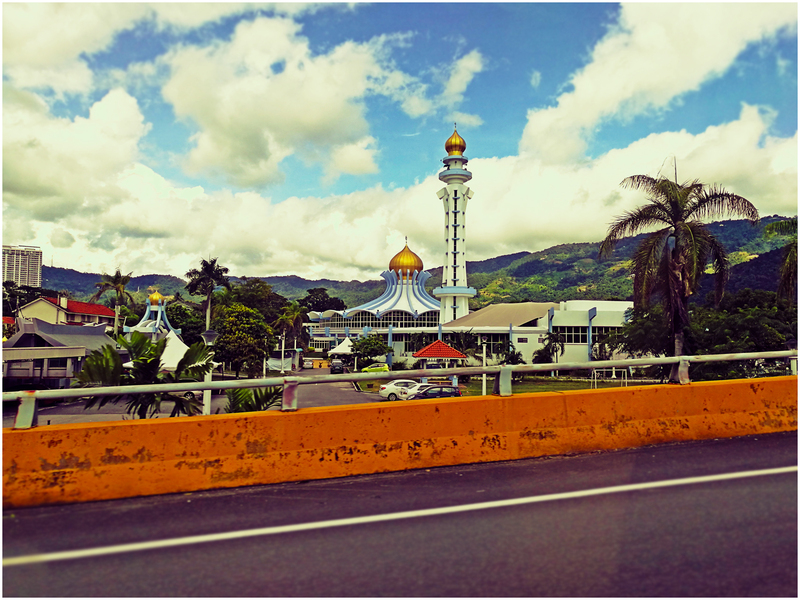 Passing by Penang’s State Mosque. Today marks the day of Muslim celebration of Eid al-Adha or Hari Raya Haji. Hari Raya Aidilfitri is a national holiday in Malaysia and this year, the holidays start from the 6th to 7th July. 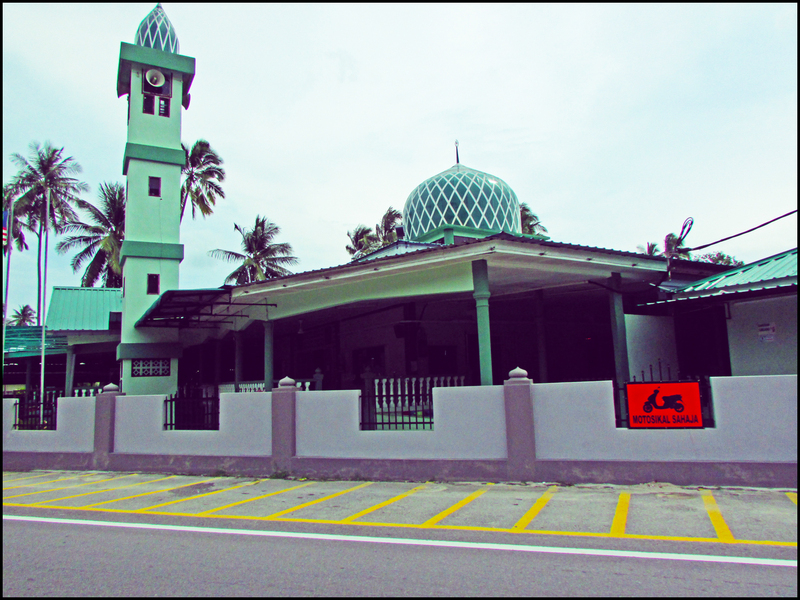 In general, the Muslims here will be going back to their hometowns (or balik kampung) to celebrate the festive season with their families. To all Muslims out there, Selamat Hari Raya Aidilfitri. 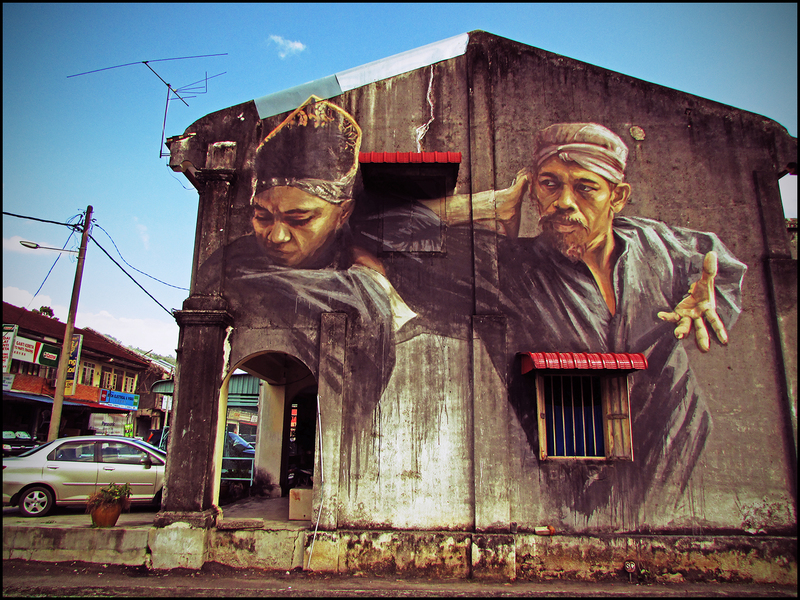 This large art work portraying two people who appeared to be engaged in silat, a traditional Malay martial art, is the second mural painted by Russian street artist Julia Volchkova in Balik Pulau town, Penang. For Volchkova’s other works in Penang, please refer HERE or for her Facebook page; https://www.facebook.com/volchkovastreetart.